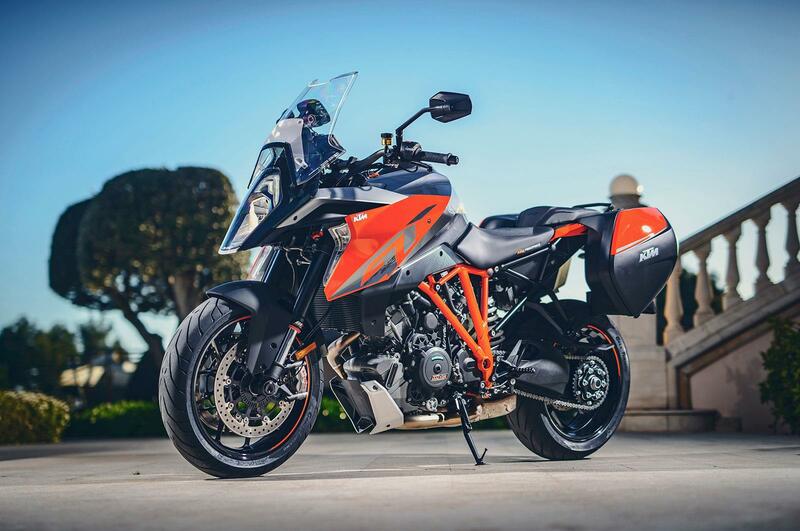 KTM are offering an accessory package with a value of £1000 with every new Super Duke GT model purchased. The offer will include KTMs PowerParts Touring package with each new motorcycle purchased from an authorised KTM dealership. 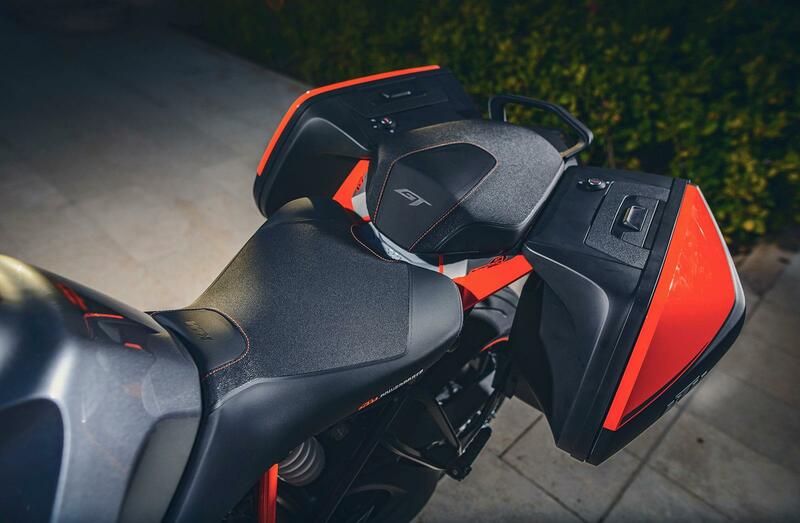 Included in this package will be Ergo Heated seats for both the rider and a pillion, a ‘seamless’ luggage system that matches the bike and a GPS mounting bracket. Separately these items will cost £1120 but KTM will include them with each new Super Duke GT until stock runs out. 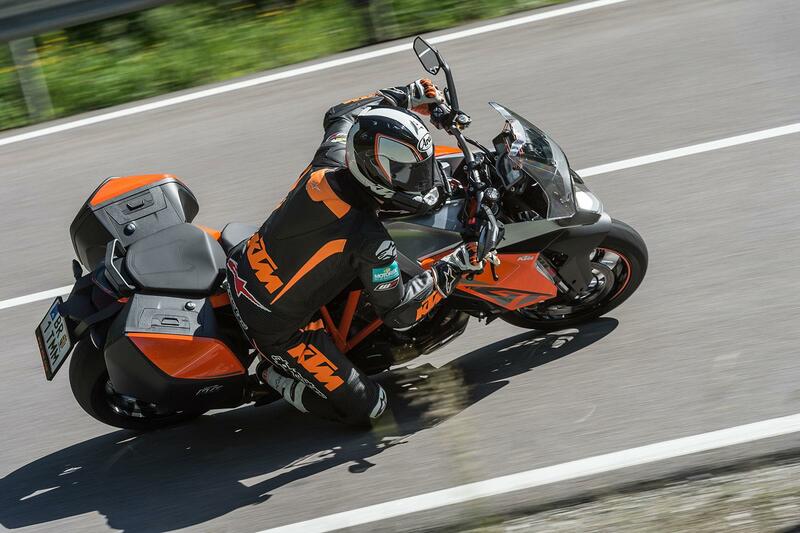 The SuperDuke GT is a monster of a bike that’s built for smashing distance. It makes 173hp and has 144nm of torque. It also comes laden with WP semi-active suspension, a quickshifter, cruise control and heated grips. MCNs Deputy Editor, Richard Newland ran one last year as his long-term test bike, find out how he got on with it by checking out his reports here. 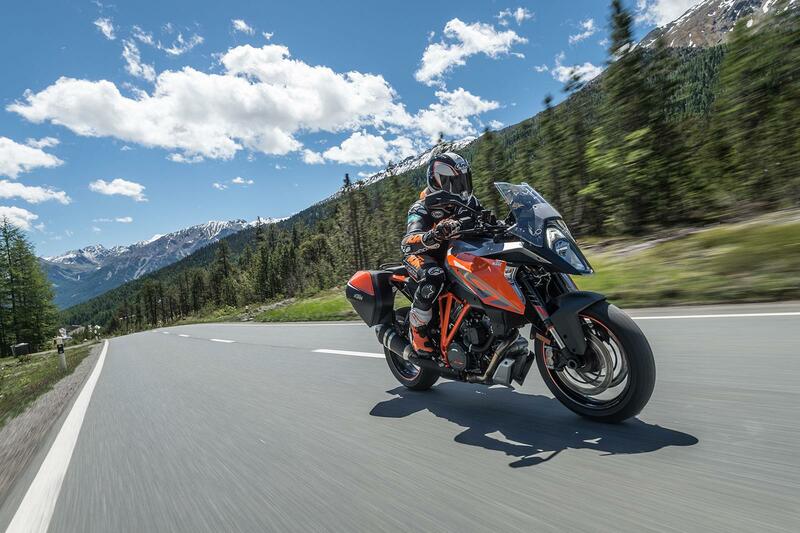 For more information on the offer, contact your nearest KTM dealership.